I went to the Survey of India. 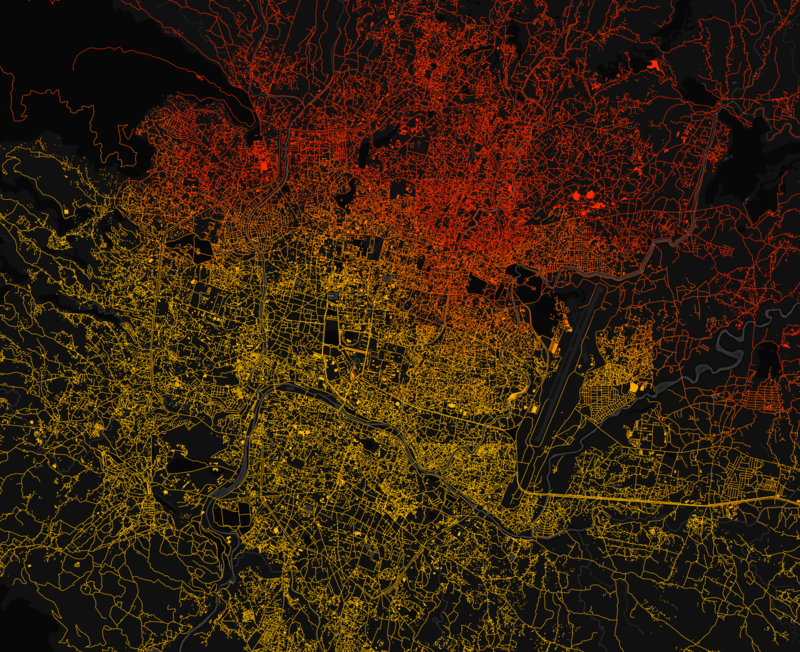 I went up to Dehradun last week to do a workshop on OpenStreetMap and Mapbox at the Indian Institute of Remote Sensing. IIRS is run by the Indian Space Research Organisation (ISRO). They are also neighbors to the Survey of India – the national mapping agency. SoI governs all mapping activities in the country, maintains the National Map Policy and enforces publishing the correct international borders. 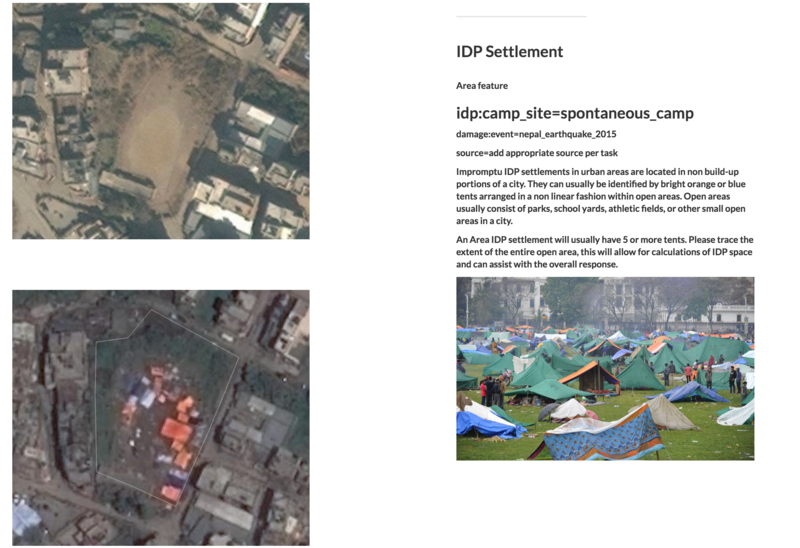 Recently, Google Maps got into trouble for large scale mapping activities without the permission from SoI. SoI campus in Dehradun is massive and houses the only printing shop in India at the moment. They also sell some of the treasures and I was aiming for this. The first day, they closed the store as I walked in at 4.45PM and refused to let me do anything except for looking at the catalog; worth the walk. They sold maps worth 850 INR that day. I went back the next day, right after the workshop to see more of the map room and talk to the folks there. He pointed me to this map and said the state geospatial centers have lost their power and don’t do any printing at all. ‘People aren’t buying these maps.’ – well, duh, of course. I talked about how they update the maps and they didn’t have much idea, not surprising. But I found out that SoI stores all vector data in DWG. You can buy the road network in DWG for ~ INR 6000. I bought as many as I could. SoI is still the primary organisation that the planning commission resorts to gather data for urban planning and infrastructure – much of this is outsourced to small agencies across the country. Finally, we have some attention from the media! Featured on the third page of the New Indian Express. About two years ago, in an open map party held in Hyderabad, some geeks sowed the idea of forming an open technology mapping consultancy team. Now, the idea has grown into a full-fledged, non-profit, open technology mapping consultancy team called Geohackers. The team, which consists of seven active members and several contributors, gives consultancy services on open mapping for different organisations and projects, free of cost. The team is also contributing to the Open Street Map, a project to make free and open maps. “With the belief in the ideology that information has to be free, we undertake consultancy works and training for students on cartography,” said Sajjad Anwar, a coordinator of the open map team and a student of the MES College of Engineering, Kozhikode. The contributors include several technology freelancers and techies, working in different parts of the world, he said. 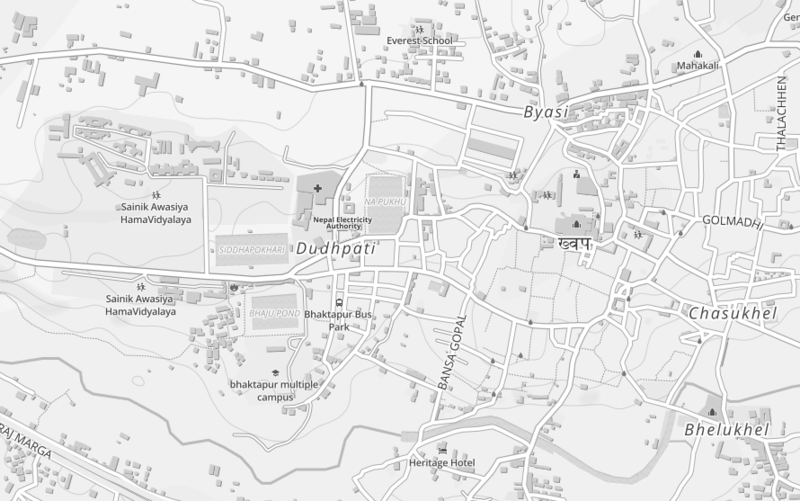 The team is involved in several open mapping projects such as Assistance for Maps for Making a Social Change project and Heritage Walks.in project. 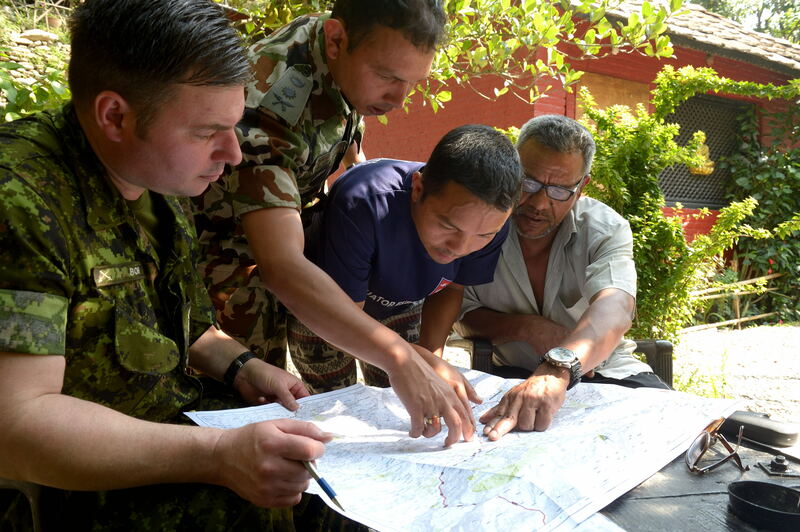 “The first project was sponsored by two NGOs- Centre for Internet and Society and Tactical Tech and we have conducted several workshops and training classes for the social workers on how to use open maps. The training and workshops were held in New Delhi and Ahmedabad,” he explained. “Heritage Walks.in is a unique project to help tourists. People can download maps from the website www.heritagewalks.in for free,” he said. At present, the mapping of heritage sites in Ahmedabad, Kozhikode, Kochi and Thiruvananthapuram has been completed. “The project is aimed to cover the whole India. More heritage sites will be added to the website shortly,” he said. For mapping purpose, we use GPS devices and free satellite images. The open mapping foundation has contributed two such devices for the purpose, he said. Very lately blogged. Too many things actually happened. Good and bad. Pycon 2010 was awesome. Met a lot of people and ran through the to-do list ticking all the items for Pycon. Felt really great. Since a month we are associated with the Braille Without Borders, Center for Social Innovations, Trivandrum to develop an accessible navigation system for Android. Met Rahul Gonsalves (twitter.com/gonsalves_r), Administrative Director of CSI and we are in! The HTC Desire phone which can be hacked will arrive in November. Currently experimenting the Android SDK using the emulator. More details, coming soon. Project is named Beacon, as Arky suggests. You can even export the map as images or in KML format! I tried it with Calicut subset and got something like this in terms of last year changes. After a bit of mapping at the Technopark, we planned to render the map offline. This being a step towards the Fort Cochin Heritage Walk Mapping. So, I banged into the #osm channel on irc.oftc.net with the question, the first answer was Mapnik. But Mapnik, essentially, requires you to generate the Postgresql database instance out of the .osm file using osm2pqgsql or osmosis. But, the quick method is to use Osmarender. The following steps would let you render a good .osm file into a map. 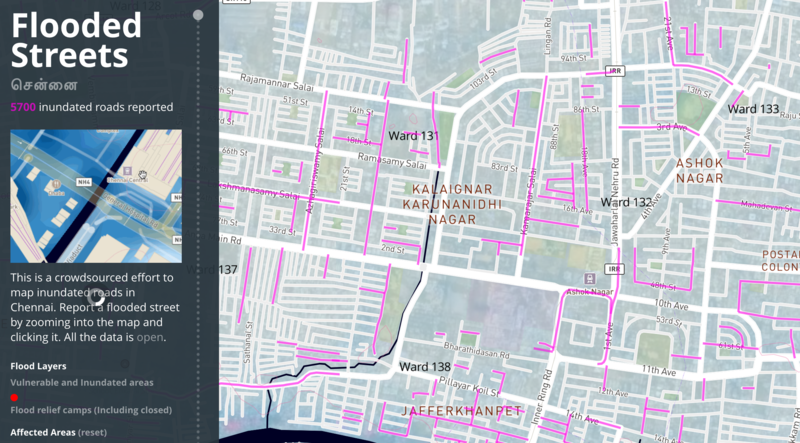 Dowload the xml or .osm data subset of your area of interest. You can further make additions to the stylesheet files and adjust the parameters to suit your needs. More information is available at the Osmarender wiki. The first version of SciPy.in India Conference is being held at Technopark, Trivandrum. Thank God, despite of the minor accident, I was able to make to it. Not only me, we have a team of 14 guys! The conference began with the inauguration by Travis. He is a wonderful guy. And we had a lot of good sessions in two days! A Session by Travis on Traits and Chaco! Really enjoyed! A bit of mapping inside the Technopark Campus. And now, getting ready for the tutorials!